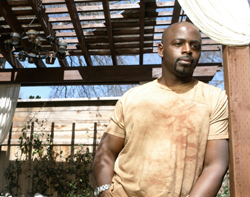 Candid 7 with Alimi Ballard: I interviewed the Numb3rs star about his growing family, doing his own stunts and balancing work and family time. Alimi was a great interview — very friendly and warm, and lots of fun to talk to. Engaging Customers With Microsoft Surface: I take a look at the coolest new multitouch computer and what it means for business. By the way, I want one of these. And seeing it on CNN’s election coverage only makes me want it more.